Hello my bloggity friends! I am really excited about today's post because, although I have a very large repertoire of baking/cooking (that was said with some sarcasm), I always love new recipes and ideas! One of my "go to" places is a blog with tutorials for delectable foods along with other thoughts on beauty and even college living/preparedness! It is a very versatile blog! Miss Elizabeth from this blog, Life of Lovely, (which, by-the-way, is co-authored by her sister!) 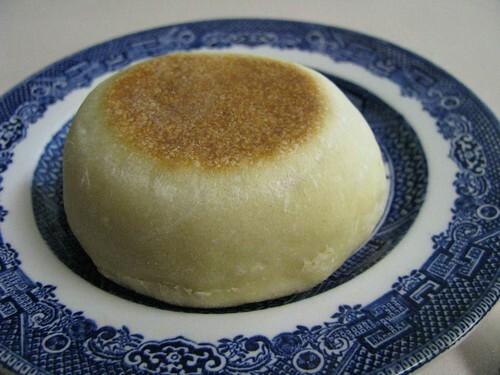 has agreed to expand that repertoire by sharing with me and you her recipe for some delightful English Muffins! Wicked (said with an attempted English accent)! I also just wrote a post for her about a "Sew 50's" outfit I made/wore a couple weeks ago. 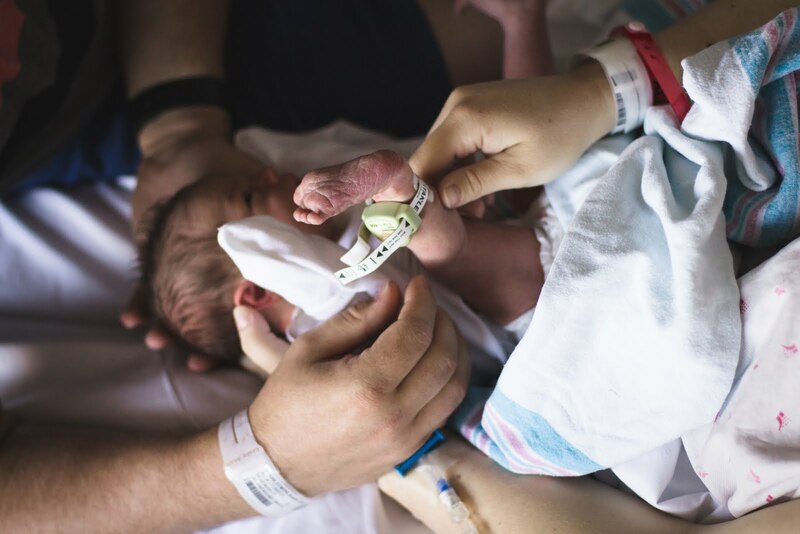 Head on over to her blog to see! Hi, I'm Elizabeth, one of the sisters who run the blog Life of Lovely. I'd like to share a recipe for one of my favorite breakfast food today - English muffins. If you're making this for breakfast, start early or it'll end up being more of a brunch. 1. Heat milk in a saucepan. When warm, stir in sugar, salt, and butter. Set aside to cool slightly. 2. Mix yeast into warm water in a large bowl, and stir until dissolved. Then, add in the milk mixture. 3. Add three cups of flour, stirring until smooth. Then, add the rest of the flour to make a soft dough. 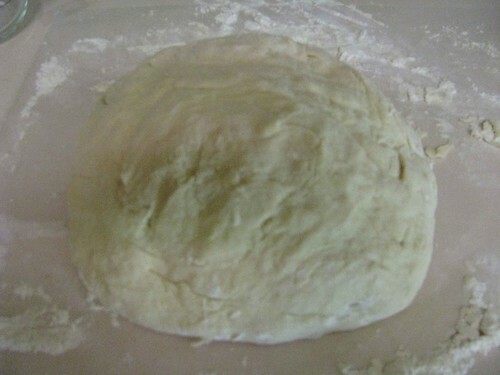 Place dough on a floured surface, and knead until smooth, about 8 or so minutes. 4. 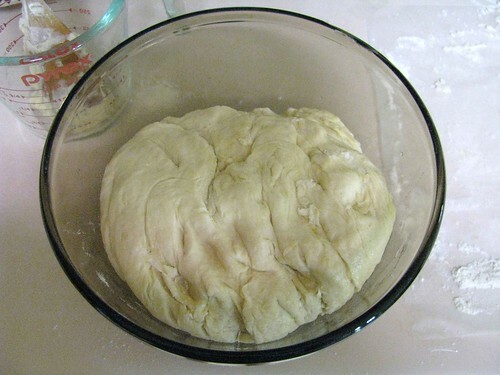 Place the dough in a bowl with the vegetable oil on the bottom. 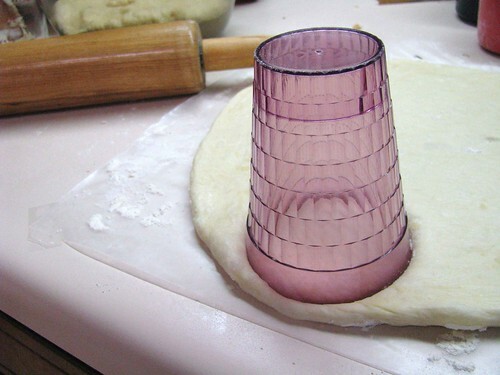 Turn the dough so that the oil coats all of it. Cover with a cloth before setting it in a warm place to double in size, about an hour. 5. Punch down the dough, and divide in half. On a flour covered surface, roll out the dough to 1/2 inch thickness. Cut into circles with a three inch diameter (I used a plastic cup.) Let these rest covered with a cloth for 30 minutes. 6. 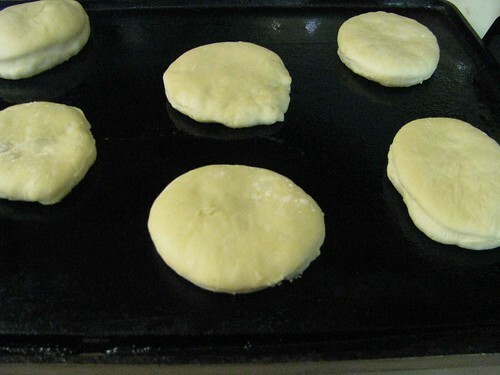 Place circles on a lightly greased medium hot griddle. Bake until bottom is browned, about 15 minutes. Turn and bake on other side for 15 minutes. Options: If you like, you can use cornmeal rather than flour to coat the surface when you cut out the circles. These are perfect for pairing with some delicious jelly. My personal favorite way to eat English muffins is to cut them in half, then fill them with a little nutella and some banana slices. Thanks to Sue for letting me share with you today! Thanks Elizabeth! They look deeeeeeelicious! And while you're making these Magnificent Muffins (did you catch my clever alliteration? huh? huh? ), here's my Tune in Tuesday pick!